Over the past few weeks, I've received a few emails from artists who did not know how to send me a link to their images on their website. So, today, I thought I would show you where you can find the link (a.k.a. URL) for any of your online image pages. 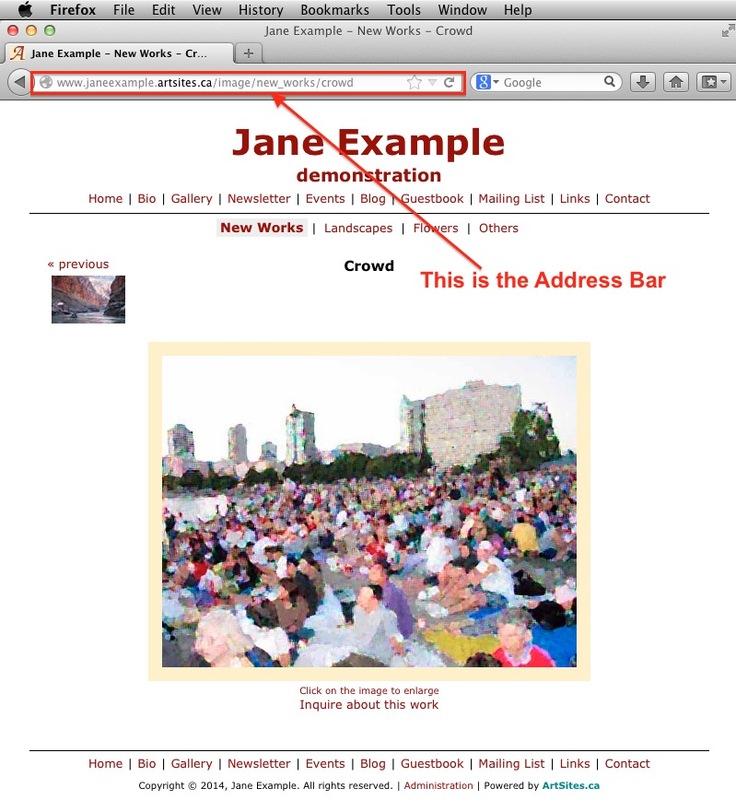 The most important "concept" you need to understand is where your "Address Bar" is in your web browser. Since each web browser looks slightly different, I thought I'd show you several screenshots of the same web page in Internet Explorer, Chrome, Firefox, and Safari. Now, you can Paste your link in an email, in your social networks, etc. So, now whenever someone asks for a link to an image on your website, send them directly to the appropriate page!